Statistical physics and thermodynamics describe the behaviour of systems on the macroscopic scale. Their methods are applicable to a wide range of phenomena: from refrigerators to the interior of stars, from chemical reactions to magnetism. Indeed, of all physical laws, the laws of thermodynamics are perhaps the most universal. 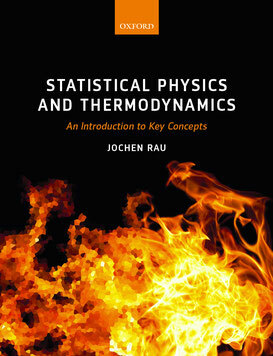 This text provides a concise yet thorough introduction to the key concepts which underlie statistical physics and thermodynamics. It begins with a review of classical probability theory and quantum theory, as well as a careful discussion of the notions of information and entropy, prior to embarking on the development of statistical physics proper. The crucial steps leading from the microscopic to the macroscopic domain are rendered transparent. In particular, the laws of thermodynamics are shown to emerge as natural consequences of the statistical framework. While the emphasis is on clarifying the basic concepts, the text also contains many applications and classroom-tested exercises, covering all major topics of a standard course on statistical physics and thermodynamics. The text is suited both for a one-semester course at the advanced undergraduate or beginning graduate level and as a self-contained tutorial guide for students in physics, chemistry, and engineering.